So, just like that Christmas is done and dusted til next year. We’ve been Merry, eaten our own weight in turkey and chocolate and watched “Carry On” movies just to fill time. 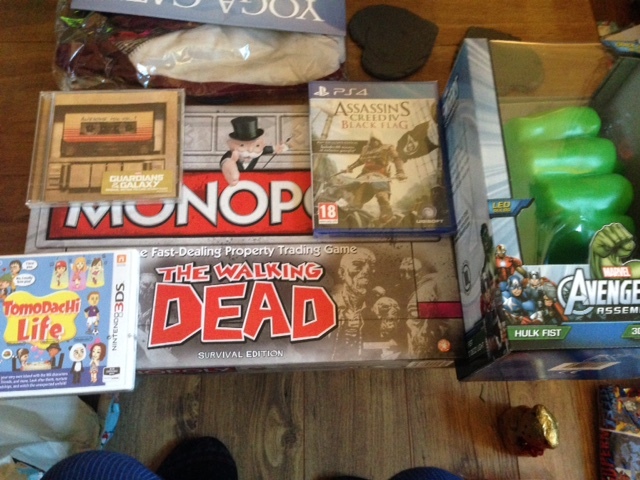 Here’s a summary of the festive Geekness. As to be expected, it’s a little tough to Geek out over the festive period as you’re pretty much with the family or friends every day enjoying the merriment. It sounds like I wouldn’t have had much joy playing my PS4 anyway as Lizard Squad hacked both Playstation Network & Xbox Live over the Christmas period leaving a lot of new console owners in the dark. Saturday was spent just like Christmas day and Boxing day in that I was drinking. It was a friends birthday so my wife and I headed over to their house early afternoon for some pre-town drinks. 8pm rolled round before we knew it and we were in town drinking more. Ending the night dancing away like drunken fools stained in Jagermeister and Sambuca at 2am. Despite the night before, On Sunday I genuinely didn’t feel that bad. My wife bought me Assassins Creed 4 Blag Flag for Christmas (Along with Tomodachi Life) So I spent the day playing that. Have to say having only played AC1, AC3 and now Blag Flag, I’m loving Black Flag so much more than the other games in the series. The Pirate and sailing aspect of the game are incredibly fun. A year late to the party and to the other people requesting it, but man I’d love to play a full fledged open world pirate game with the sailing aspects of Black Flag. With my Christmas money I also ordered Call of Duty Advanced Warfare and Last of Us Remastered. Here’s hoping they arrive soon in the week. And that’s that. I love the festive time of the year I only wish I’d had the time off between Christmas and New Year as I’m back to work this week now wishing I was at home playing my PS4. Have a good new years eve! Yea, yea Christmas is over, but my time off isn’t! I’ve still got another week left. Like Murr has said, Christmas is a time for seeing your family and friends. But there is always a little time to spare for some geeky times. As we all know, the Steam holiday sale is on at the moment, so I’ve been keeping a close eye on it the whole time in hopes of finding some holiday bargains. The only games I’ve bought so far though, is Prison Architect. 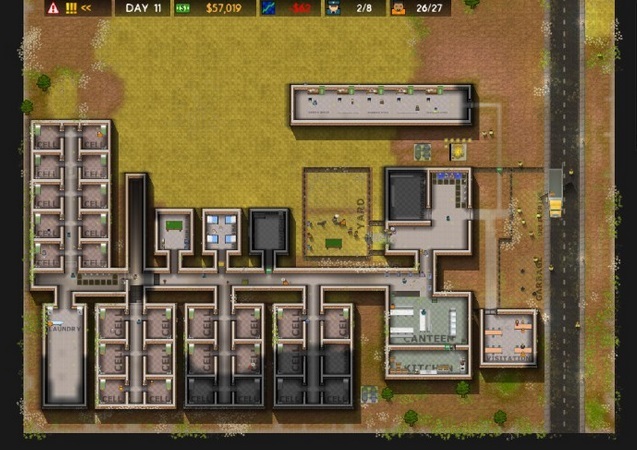 If you don’t know, Prison Architect is a top-down 2D construction and management simulation where the you take control of building and running a prison. You’re responsible for managing various aspects of their prison including building cells and facilities, planning and connecting utilities, hiring and assigning staff, including a warden, guards, workers, and more. You also need to recruit staff to unlock more aspects of the game and are also responsible for the finances, and keeping the inmates content. I’ve only played it for a handful of hours so far, but I’m really liking it, and it’s a really easy game to pick up and play. Plus it’s not to taxing and you can quite happily play it whilst watching a bit of tele, which is exactly what I did. 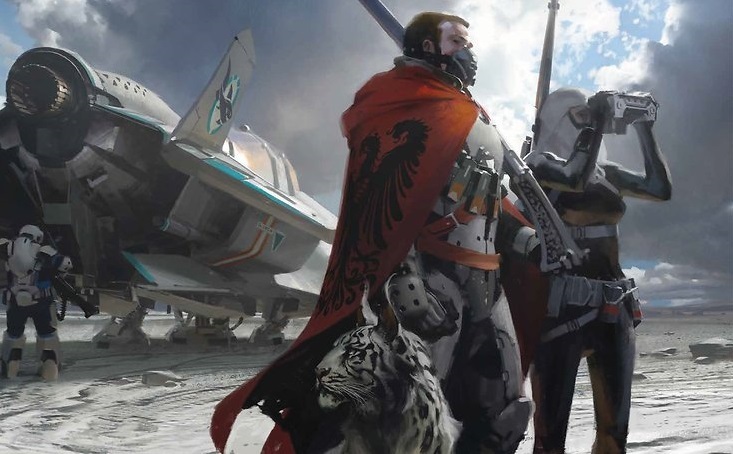 I haven’t really been up to much else in terms of playing games, but I did get an awesome book for Christmas which is The Art of Destiny, which basically has loads of concept drawings and is just full of brilliant art work. If you are anything like me, and love concept art for video games, or anything like that, you might want to seriously take a look at this book. The only thing I don’t like about the book is that it shows all the cool looking stuff that was obviously cut from the game! Where is my tiger/liger, or whatever it is? !